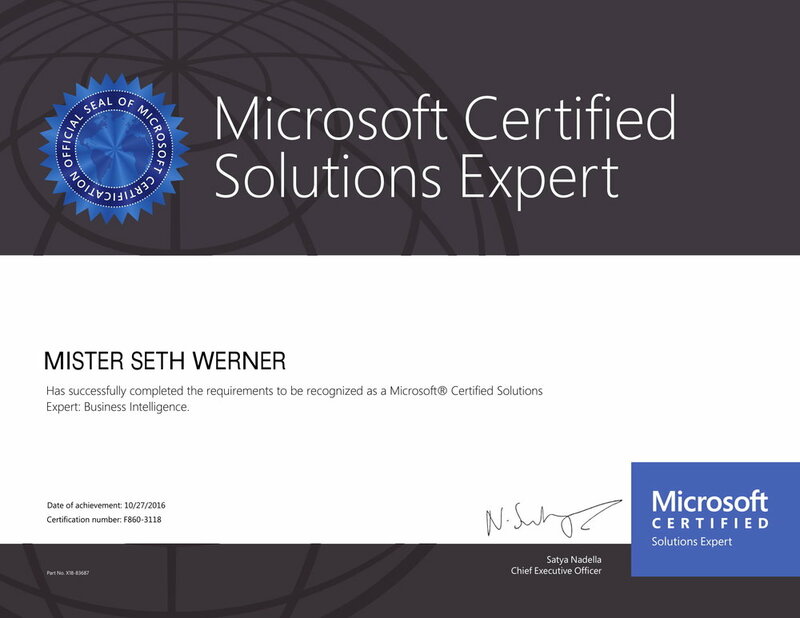 This certification demonstrates knowledge relevant to data analysis, data visualization, modeling, dashboards, and direct connectivity to data sources in Excel and Power BI. This certification validates extract, transform, and load (ETL) and data warehouse skills, along with those for implementing BI solutions using multidimensional and tabular data models and online analytical processing (OLAP) cubes. This certification demonstrates skills with database installation, maintenance, configuration, and provisioning tasks. This certification demonstrates skills as a database professional, for both on-premises and cloud-based databases. This certification tests the foundation for delivery of business intelligence applications by focusing on requirements analysis, data modeling, system architecture, and core data warehousing concepts. This certification tests skills and techniques needed to design, build, and deploy SQL Server business intelligence solutions that deliver data value to people across an organization. This certification verifies skills needed for both data analysis and data engineering, with content focusing primarily on designing and developing database solutions in SQL Server. 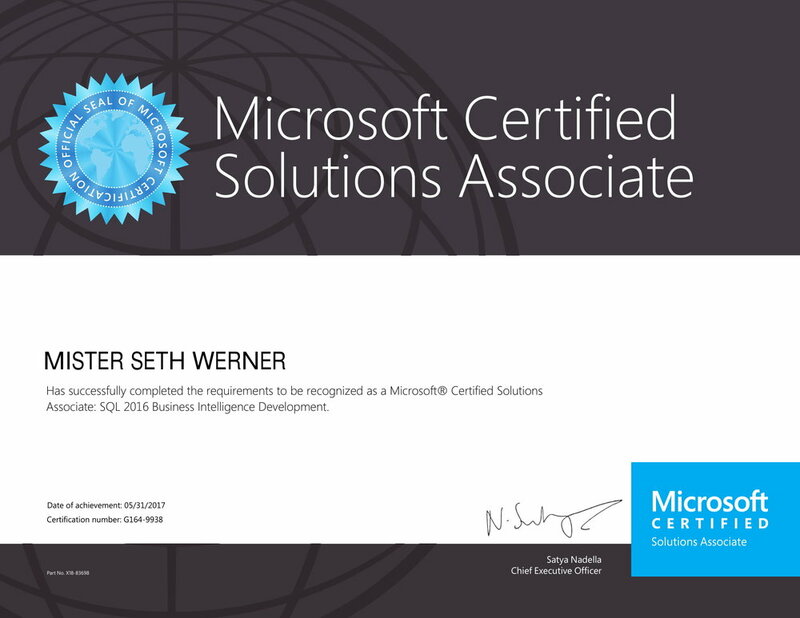 This certification demonstrates broad skill sets in SQL Server administration, building enterprise-scale data solutions, and leveraging business intelligence data in both on-premises and cloud environments. This certification demonstrates skills and breakthrough insights in developing and maintaining the next wave of mission-critical environments.